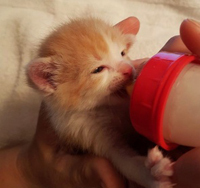 We are a group of volunteers who rescue kittens and young cats. We also provide loving foster homes to the kittens in our program until they find their forever homes. Kittens accepted into our program are kept in isolation long enough to ensure there is no sickness or diseases such as Panleukopenia. After we are sure they are not sick, they will be placed in foster homes with families to socialize and prepare them for adoption. All potential foster homes will be interviewed to ensure they are prepared for the responsibility of having up to five kittens in their home. All resident pets must be fully vaccinated to protect them from any potential risks with bringing in cats with unknown histories. Keeping Cats Homed (KCH) will provide all supplies required including food, litter etc. If the kitten becomes ill, KCH will be responsible for any vet care. Note: The foster homes must understand that they do not own the kitten and do not decide who will adopt them. If they decide they want to adopt the kitten, they must apply for adoption like anyone else. Before the kitten becomes available for adoption, they will be seen by a Veterinarian and have their first set of vaccinations. 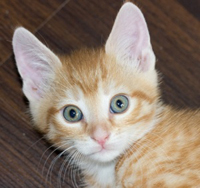 We also treat all of our kittens with Revolution for fleas, ticks, worms, and ear mites. There is no guarantee of health and Keeping Cats Homed is not responsible for any future veterinary bills. The adopter must follow the vaccination regime provided by the veterinarian and be spayed or neutered by 6 months old or as suggested by the veterinarian. 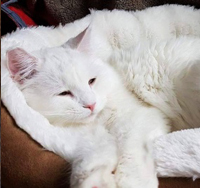 Keeping Cats Homed has the right to check with the family in the future to ensure they have fulfilled the obligations of the contract and have the right to remove the cat from the home if they have not. View the full adoption contract here. In order to help offset the cost of the vet visit, vaccinations, and general care, we charge a $60 adoption fee. If it is deemed necessary, the fee may increase in the future. This is not refundable. All funds raised through fundraisers, donations, grants and adoption fees will be used to pay vet bills and supplies to provide to foster homes. This would include cat food, litter, food dishes, kennels and cleaning supplies. Any donations of food or litter are greatly appreciated. View our donation page for more information.